Кафяво-черна единична гривна Roy | Lucleon | В наличност! Тази зашеметяваща кафявo-черна кожена гривна от датскaта марка Lucleon е идеалният аксесоар за Вашата минималистична колекция. Тя деликатно добавя стил и финес към визията Ви. Кожените каишки и закопчалката от неръждаема стомана са приятни на допир и изключително устойчиви. Закопчалката има средна част, която може да се сваля, за да Ви осигури по-къса, добре прилепваща гривна. Стилна и непринудена, тази красива гривна е съществен аксесоар за модерния джентълмен. Bracelet of the most beautiful effect, clasp very solid. I recommend this bracelet, made real as in the photo. The bracelet is nice against the long delivery and no gift box just packed in a plastic bag at this price is unfortunate I think. Everything went well, the package arrived quickly, in very good condition, the bracelet is like the picture very nice, a team that looks really nice! The bracelet was too big so I returned it is free so top ???????????? I'm waiting to see more, but it makes you want to recommend home ???? I really liked it, it was a little bit difficult to open the bucket, but at least it could not be left out. Very nice bracelet! However, a little hard to snap. Warmly satisfied medal band and Trendhim. Small snacks for all fun formulations. Excellent! And as time goes by, it sits even better in the hand. Had a bug on the product after a short period of time and got it exchanged, very good service. Very good quality bracelet. 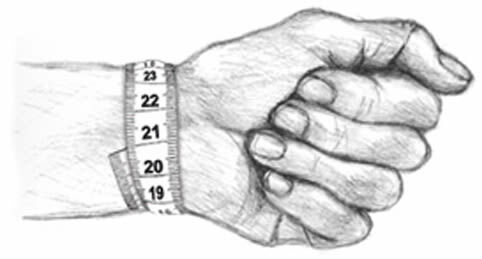 For 17cm wrist is applicable. It could have an extra buckle. Super nice and fast delivery. The bracelet came quickly and in good condition. It looked like the pictures. Just what I expected. Very good. Identical to the one in the photo, it is a very beautiful bracelet. Of good quality, it also has two closing hooks to adjust it to your size. Good quality, identical to the one in the photo. It is a good product, identical to the one in the photo and with a mooring of good quality. In addition, the tie lets you adjust the bracelet to your hand, since it can be removed or added a part. Elegant, chic, value for money, a very good choice for gift, high aesthetics and quality!